Bearer shares represent international securities owned by the person who possesses the physical stock certificate in a company. The corporation that issues the bearer shares in Seychelles is not entitled to register the owner or the transfer of the ownership if it is the case, being subject to complete privacy. In Seychelles, the bearer shares have been abolished since 2014, and IBCs (International Business Company) can no longer issue them. Offshores in Seychelles can be easily set up and can offer numerous advantages for foreign business persons, among which the tax regime is the most important. 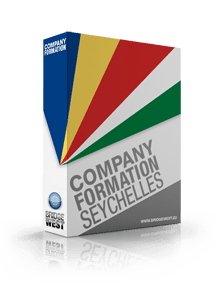 Our company formation agents in Seychelles can provide you more information about how you can register an offshore company. How are bearer shares issued? Numerous countries worldwide tend to eliminate the bearer shares, particularly in the financial services sector, as the nominee shareholder is a proper solution and offers the same high level of secrecy. We mention that issuing bearer shares in offshore companies in Seychelles is strictly forbidden. If at the moment, other international jurisdictions allow bearer shares, these are dealt by the registered agent who is in charge of recording the bearer shares with complete details about the persons to whom such shares have been issued. It is good to know that if a following transfer of a bearer share is in discussion, this operation will take place and it will be operative if sufficient details about the new owner are provided. In this case, the confidentiality of a bearer share will no longer be available. Additionally, banks in Seychelles decided to decline opening bank accounts for companies which are subject to bearer shares. For a better understanding of how offshore can be created in Seychelles, we suggest you address your questions or concerns related to company formation in Seychelles to our specialists. Having an adaptable formation, without imposing a minimum share capital and no corporate taxes, the IBCs offshores in Seychelles are the most popular business structures in the insular state. Another benefit of having an offshore in Seychelles is that the activities can be operated in the country of origin, and furthermore, complete privacy is offered regarding the name of the owners, the capital and the profits registered. If most companies in the world must consider and prepare the annual financial statements, this is not the case in Seychelles, as IBCs are exempt from this point of view. We remind that you can contact our company formation representatives in Seychelles if you want more details about how your assets and profits can be protected through offshores in Seychelles.